“You can’t stay in your corner of the forest waiting for others to come to you,” said Winnie the Pooh in A.A. Milne’s classic best-selling book Winnie-the-Pooh. 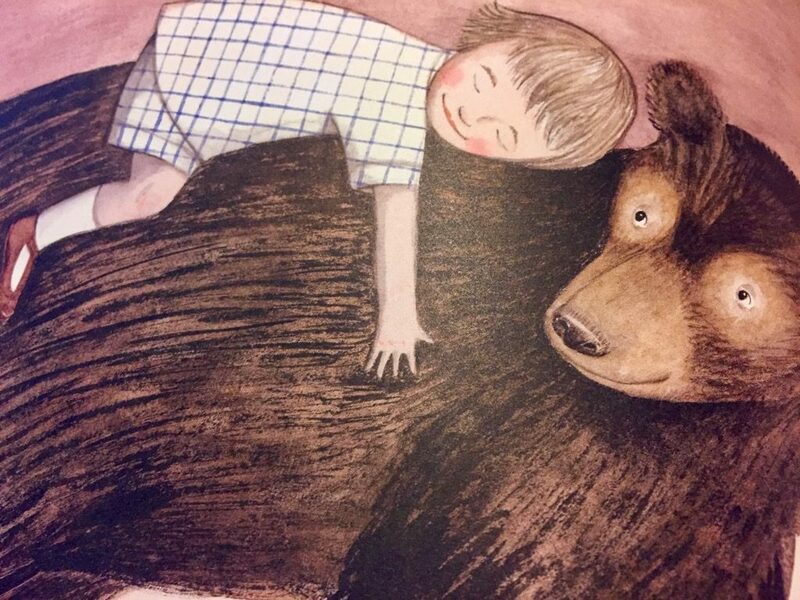 “You have to go to them sometimes.” Now, thanks to author Lindsay Mattick and illustrator Sophie Blackall, we know where the inspiration for Milne’s historic story came from. 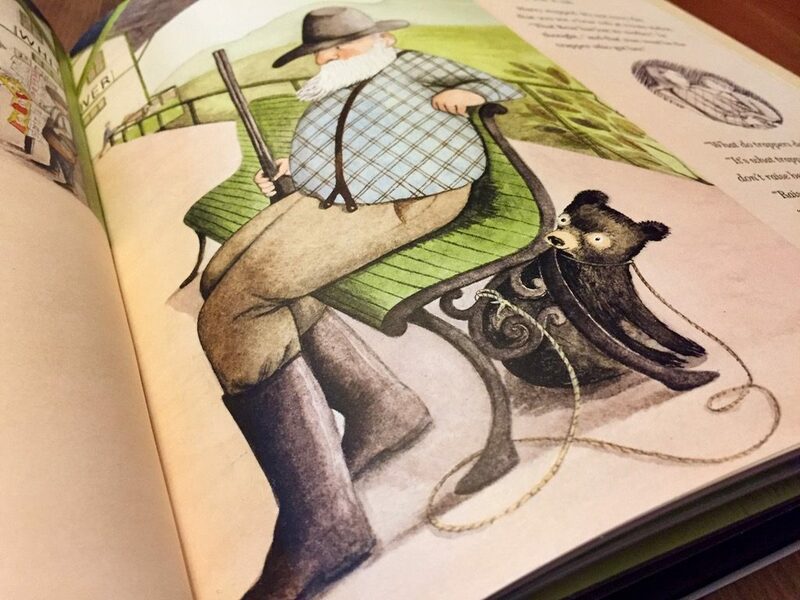 Finding Winnie (public library) tells the true story of the actual bear that inspired the character of Winnie the Pooh. And what a story it is! 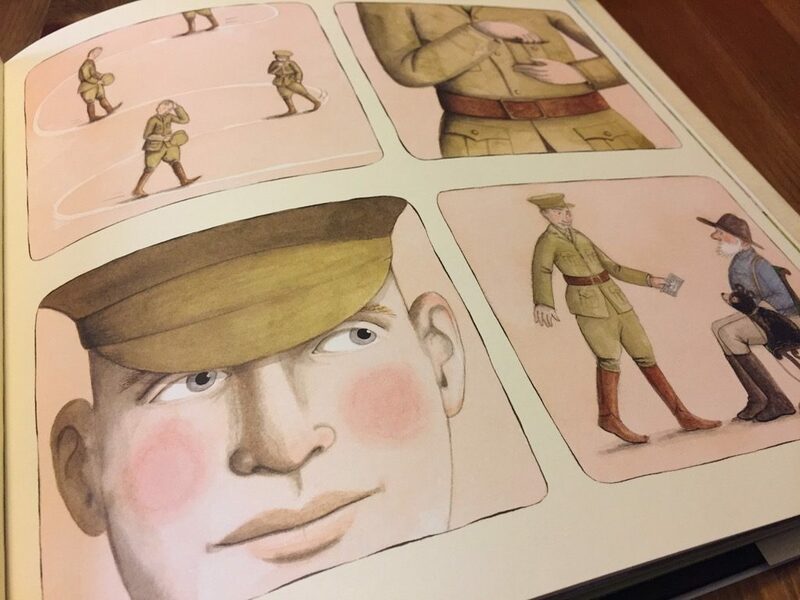 The children’s book follows Mattick’s great-grandfather, Harry Colebourn, a veterinarian called to serve in World War I. While traveling across Canada with the other soldiers, he meets a trapper sitting with a cub — the trapper had killed the cub’s mother. Harry pays $20 for the bear. So begins his incredible journey with Winnie, who is named after Harry’s hometown of Winnipeg. 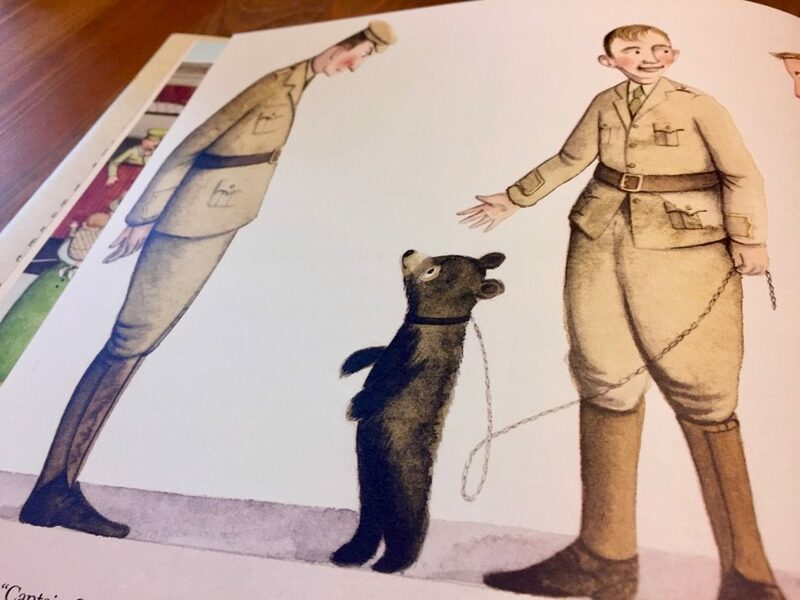 Initially, the soldiers have their reservations about the bear, but before too long Winnie becomes the mascot of the regiment. She stays with the men in Canada, sails with them across the Atlantic Ocean to Europe, and lives with them until they go to the front. Winnie was in the army now. Harry taught her to stand up straight and hold her head high and turn this way and that, just so! Soon, she was assigned her own post. 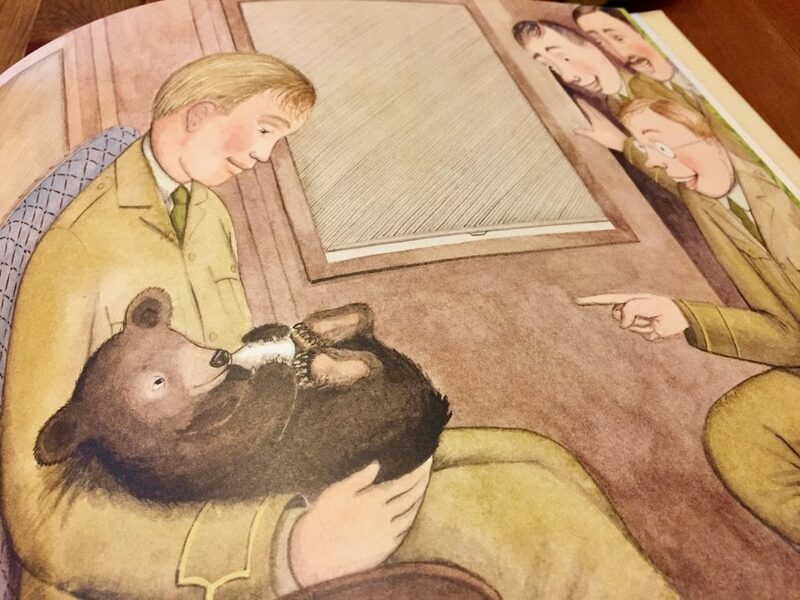 Even the Colonel agreed that Winnie was a Remarkable Bear. She might have been the best navigator in the whole army. When the order comes down the line for Harry’s regiment to move to the front and fight the war, Harry has a decision to make. Should he bring Winnie to the front lines, possibly risking her life? Or should he find a new, safe place for her to live? Eventually Harry decides that Winnie should live in the London Zoo. It was winter when the order came: The time had come to fight. Winnie posed proudly with the men for pictures to send home to their families. Harry thought for a long time. His head argued one way and then the other. But his heart made up his mind. He went to Winnie and said in a serious way, ‘There’s somewhere we need to go.’ Winnie brushed the mud off her nose and nuzzled in close. It’s at the London Zoo that Winnie meets Christopher Robin. Christopher’s father, A.A. Milne, eventually wrote the book Winnie-the-Pooh. 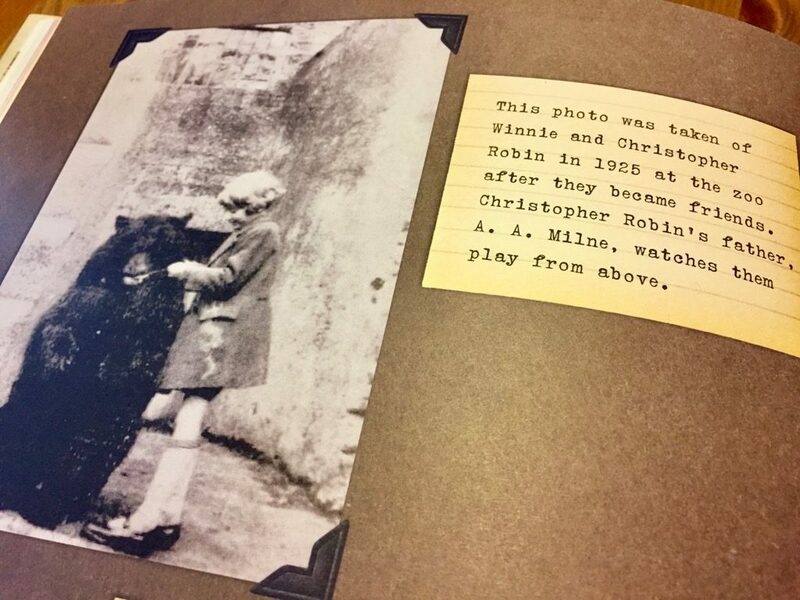 The back of the book contains several photographs of Harry and Christopher with Winnie. Christopher Robin would visit Winnie at the zoo, and then he would take his stuffed animal on all sorts of adventures in the wood behind his home. His father, Alan Alexander Milne, wrote books all about them. 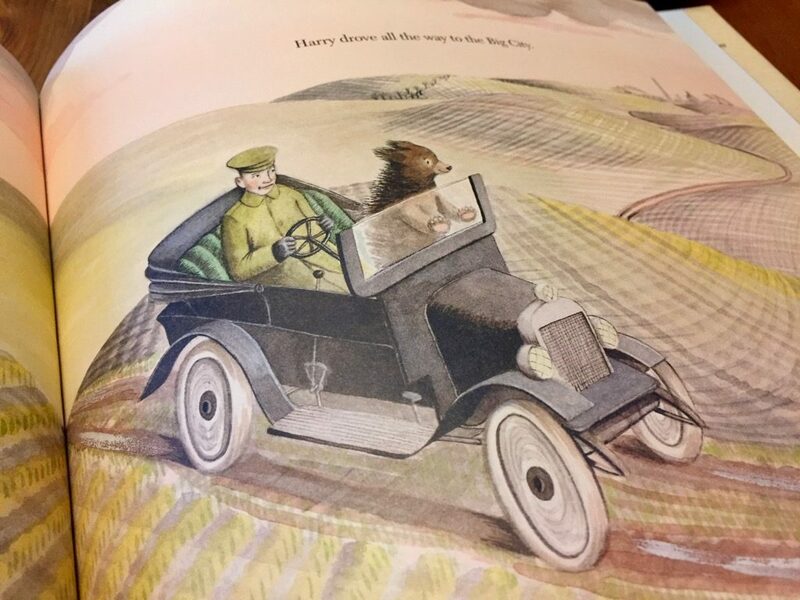 Harry’s Winnie became Winnie-the-Pooh — and there has never been a more beloved bear. 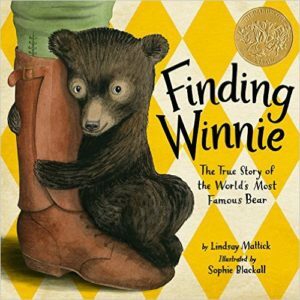 According to an interview, Mattick wrote Finding Winnie to share her family’s story. “Writing the story through a picture book helps bring it to a larger audience and bring it to a lot of children who aren’t familiar with this story — that’s my role in the family story.” She also shared some thoughts on why the story is important. Every so often, you become aware that a fictional story has an equally beautiful, real and true story behind it — and that doesn’t happen every day. 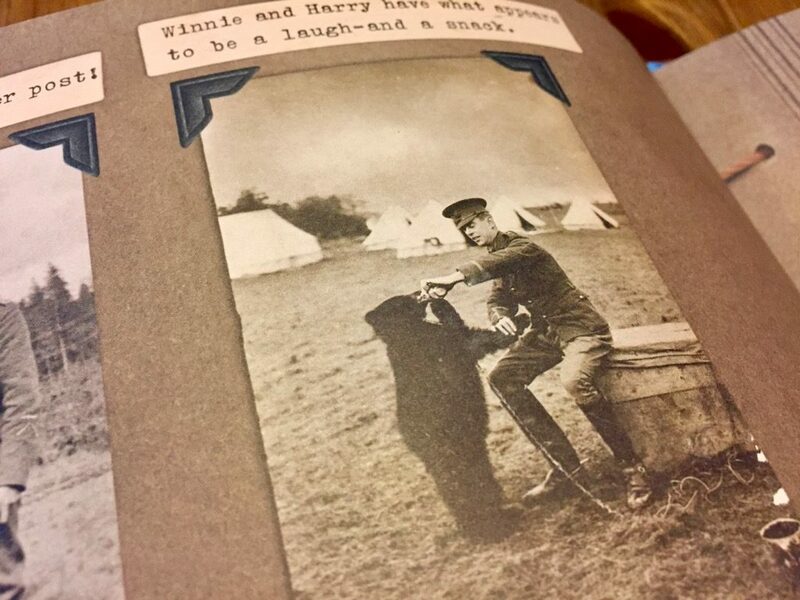 I think that the part of this story that always spoke the most to me was the fact that when Harry made that decision [over] 100 years ago to buy Winnie, to buy a bear cub because he loved animals and because he felt it would bring some joy to his regiment, he just had no idea that this very simple act was going to have this massive unexpected ripple effect. 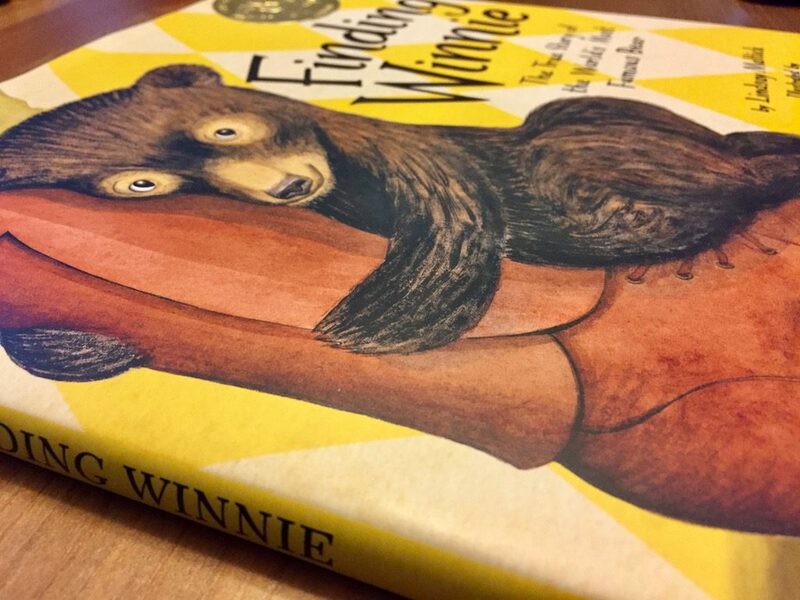 Finding Winnie is an extraordinary account of a remarkable act of kindness — one that eventually influenced A.A. Milne. Winnie-the-Pooh, of course, has gone on to profoundly influence children around the world for generations. It goes to show that even simple acts of kindness can have a big impact. Complement with Jan Brett’s Mossy and her drawing advice.